Business growth and profit increase can be achieved by implementing four simple and effective strategies. Professional development or professional growth is one of the main strategies a businessperson should adopt to ensure a high business success rate. Professional development refers to the setting of goals and strategies for a company and then measuring outcomes based on those goals. It requires continually motivating staff and staying focused on business success. Professional development is crucial for all types of businesses. A businessperson should spare time to research and learn their field of business. What is required by the customers? How can the best product can be sold to your valuable customers? This study will help a lot in the future by making customers rely on your products. You will win the trust and loyalty of your customers. They will not only come again for purchasing your products or availing your services, but also refer others to your company. Referrals from satisfied customers are key to earn steady money and grow your business. 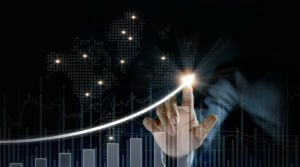 These strategies will ultimately lead to increase in profit graph and the rate of business success. Selling top notch quality products or services at competitive prices is also significantly beneficial for business. A high quality in products and services is required by all customers but, at the same time, most customers wish to buy them at the same prices as those of others in the competition. Quality requires intensive research, homework, and management. Take time to analyze the market trends and what other competitors are providing. While making strategies for selling high-quality products at competitive prices, study your bookkeeping records thoroughly. Bookkeeping will help you with profit margin analysis. Profit margin means that the revenue from sales is more than the expenses/costs of the product. Research and study the methods to decrease the cost of products without compromising the quality. In this, you don’t need to raise the price of the product to increase the profit margin. Ultimately, you will win the war against products of the same quality but with the higher prices. The customer is the most valuable and central point of every business who must be focused upon while formulating strategies to improve the business success rate. Establishing and maintaining excellent customer service is a critical step of a successful business plan. Customer services require that all customers are equally valuable and you have to understand the expectations of customers. Your products and services should fulfill the needs and wishes of customers. All customers should be dealt with respect and attention. Communication with customers should be effective and available when they need your assistance. A customer’s issues should be resolved promptly and feedback should be asked for. Everyone should feel that their opinion is valuable. When you ask customers for their opinions or suggestions, they feel valuable and privileged to be customers of such a high standard company. Take their opinion as advice for improvement and make adjustments. In the case of any loss or damage, a compensation policy should be there for customers. Happy customers are assets of a successful business and should be tracked by using CRM software. This software is used to track sales and transactions with customers. Use of technology in all fields has increased intensively. Young generations specifically adhere to this innovation. Wise business owners are using this tool to succeed in their field. Create Facebook and Instagram pages to share your new product and updates for easy and prompt promotion. The content of your website should be updated and informative. Catchy content and graphics will pull visitors which may become your potential customers after getting regular updates from your social media platforms. Continuous efforts to implement the above-mentioned strategies will increase profit and ensure business success.